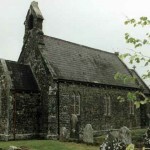 The Marriage Register tells us that Thomas Kelly and Mary Cody had been married in the same church in the previous year on 1st February 1819 when Thomas Kelly was 18 years of age (going back further still we find that Thomas Kelly’s parents, John Kelly and Ellen Head had also been married in Moyglass Church on 16th June 1799). 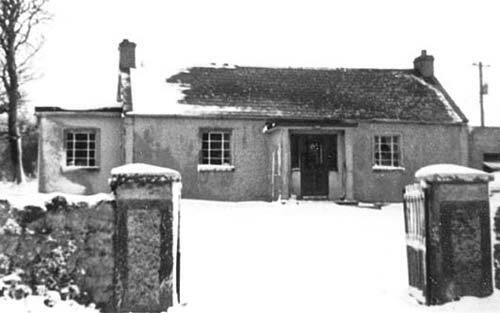 Thomas Kelly and Mary Cody reared their family of five boys and two girls on a very small plot of ground, less than half an acre, which looked across on Slievenamon mountain. 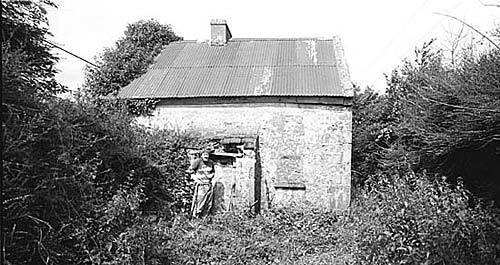 The Kelly homestead in Clonbrogan, marked on the maps of the 1840’s, is long gone, but the Kelly story still arouses great interest both here in Ireland and in Australia where, later on, six of the seven Kelly children journeyed when they left their Tipperary home. John, the eldest son was the first of the Kelly’s to go to Australia. The truth is, he was sent, because on 4th December 1840 he stole two pigs “value about six pounds” from a James Cooney of Ballysheehan, near the famous ‘city’ of Cashel, and then went and sold them at Cahir market about 14 miles further on. So the police records tell us anyway and the authorities seem to have trusted the police reports because on 7th January 1841, John Kelly was found guilty at Cashel Court and sentenced to 7 years transportation for pig stealing. The police and court reports further indicate that our John was also involved in the stealing of ‘seven fat cows’ belonging to a neighbouring farmer, a Mr. Ryall from Moyglass. He seems to have been ‘helping out’ a Patrick Regan on that occasion, and Patrick Regan got 10 years transportation for his cattle rustling efforts, It must be mentioned here also that the court reports also state that “it was he (i.e. John Kelly) that gave information respecting Regan”, which would seem to indicate that John Kelly had ‘squealed’ on his friend. However, the reports do not tell us what pressure was applied to elicit the said ‘information’, or whether his reduced sentence was a reward for his cooperation. The Great Famine of 1845 – 1847 left over one million dead and another million gone on the ‘coffin ships’. Such was the background to the offences committed by the likes of John Kelly, Patrick Regan and countless others. John Kelly was kept in Jail until 31st July 1841 when he was placed on board the convict ship ‘The Prince Regent’ in the port of Dublin. On the 7th August ‘The Prince Regent’ sailed from Dublin with 182 convicts on Board. There was one port of call, Cape Town, and the ship arrived in the Derwent River, Van Diemens Land, now Tasmania, on 2nd January 1842. By this time John Kelly had already served one year of his sentence and the next six years were spent at convict and labouring jobs in Tasmania. He was granted his ticket of leave on 11th July 1845 and on 11th January 1848 he was granted his Certificate of Freedom. He was a free man again but in a different country at the other side of the world. Sometime during 1848/49 John Kelly crossed the Bass Strait to Port Philip Colony, now Melbourne, and he headed inland along the old Sydney road and worked as a carpenter around Donnybrook and Kilmore, an area with many Irish settlers. In 1850 he met Ellen Quinn, who had come out from Ballymena, County Antrim, with her family as a young girl. They were married on 18th November 1850 in St. Francis’s Church, Melbourne by Fr. Gerald Ward. For the next fourteen years or so John Kelly made a living from horse dealing, dairy farming and even some gold mining. 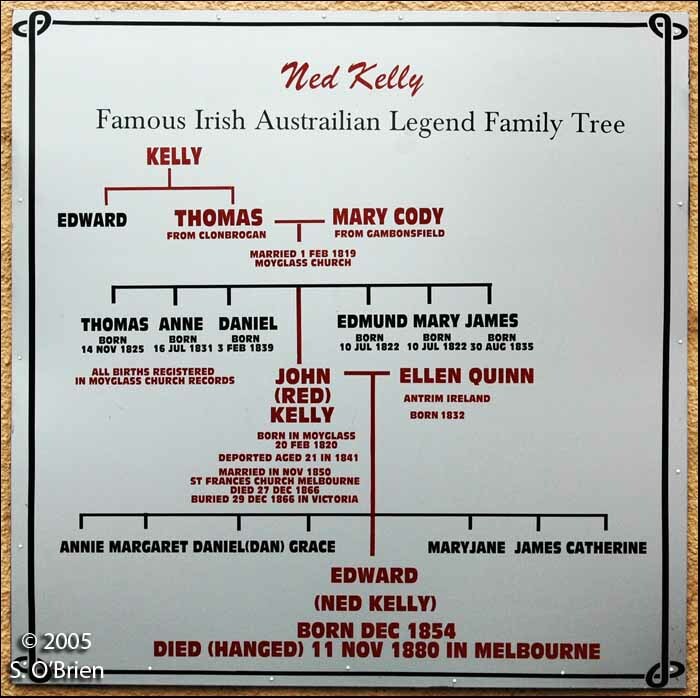 During this time seven children were born, including Edward, who subsequently became the famed ‘Ned Kelly’. John and Ellen Kelly bought and sold a number of farms around the township of Beveridge, but their fortunes seem to have been declining over time. In 1864 John Kelly sold his farm for £80 and headed further inland with his family, and they rented 40 acres near Avenel, Victoria. The Kelly family was very poor at this stage and the drought of 1865 made things even worse. In 1865 John Kelly was charged with stealing a calf from a Mr. Morgan and on 29th May 1865 he was in Court for this offence. The charge of cattle stealing was dismissed, but the charges of “unlawful possession of a hide” was upheld and he was fined £25 or 6 months in Jail. He seems to have served 4 months in jail because on 3rd October 1865 John Kelly himself registered his eight and last child, Grace, in Campions store in Avenel. In the birth register he lists his home area as “Moyglass, Co. Tipperary, Ireland” and his age as “45”. It is this entry, signed by John Kelly himself that confirms that he and the John Kelly baptised on 20th February 1820 in Moyglass are one and the same person. John Kelly’s health was breaking down and he got seriously ill in November 1866. A Doctor Healey, came from Seymour one week before Christmas of that year, but John Kelly was dying of Dropsy for which there was no cure. John Kelly died on 27th December 1866, aged 46 years. His death was reported and signed by his son Edward Kelly who was not yet 12 years of age at this time. 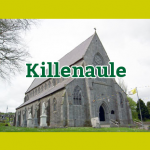 John Kelly was buried in an unmarked grave in Avenel Cemetery, Victoria, on 29th December 1866, far from his native home of Clonbrogan in the heart of County Tipperary. 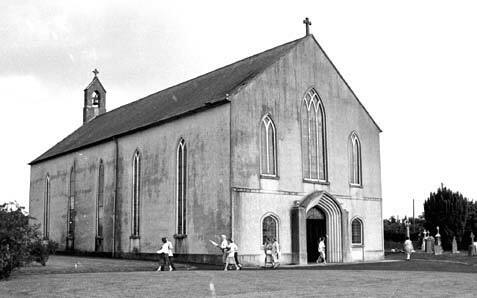 On Saturday 20th August 1988, Fethard played host to a major event, the Ned Kelly Walkabout organised by the Fethard Historical Society. The event was in celebration of the Australian Bicentennial and a tribute to one of its most famous and notorious characters — Ned Kelly the bushranger. 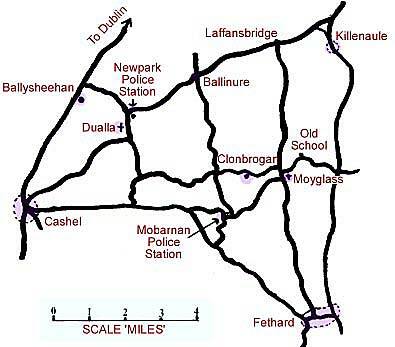 John Kelly, Ned’s father, came from Moyglass and was transported in 1841 to Van Diemens Land for the stealing of two pigs, and it was this local connection that prompted the format of the whole evening. The event was of major significance in that for the first time ever the precise location of the Kelly home in Clonbrogan was marked out. Furthermore, and even more significant the historically true and proud story of the pig stealing incident was revealed for the first time. The significance of the occasion was not lost on the 200 or so people who had come from all over South Tipperary and other parts of Ireland for the event. There were many Australians there also and Con Howard, co-ordinator, and Alan Gregory, secretary of the Australian Ireland Conference, were among a group who came from Dublin. Con Howard read out a special message from the famous Australian painter, Sidney Nolan who is international president of the Australian Ireland Conference. 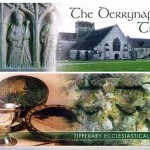 In the message he promised that he will send a signed print of one of his works to the Fethard Historical Society, that may be kept by the Society or used for fundraising purposes. Pictured on the Ned Kelly Walkabout are L to R: Theresa Mannion (RTE Television), Bob Reece (Professor of Australian History), and journalists Peter O’Shaughnessey, Stan Davis, Alan Gregory and Con Howard. 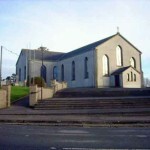 While the event was staged by the Historical Society with many of its members and friends doing trojan work leading up to and on the night, the main credit for the huge success of the event must go to the three members, the local bushrangers, who masterminded the event, Marie Crean, Mary Hanrahan and Terry Cunningham. Marie Crean and Mary Hanrahan researched and presented the Ned Kelly story, and Terry Cunningham did likewise to the local character, John Kelly, the father. With the RTE crew filming the three coaches moved off from Fethard at 6.45 p.m., headed for Moyglass and Ballysheehan. 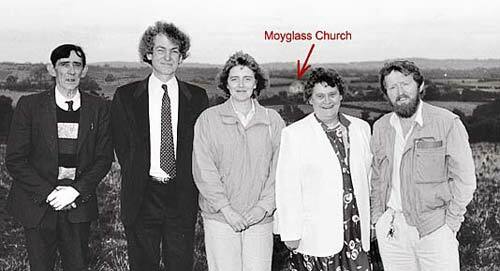 We saw the old school in Moyglass, now a private home, which is the site of the old church, that was in use in Moyglass prior to 1837, when the present church was built. Moyglass church due far demolition soon, was our next stop and there we saw the old register and the entry of the baptism of John Kelly on 20th February, 1820. The next stop was in the townsland of Clonbrogan and Terry Cunningham marked out, far the first time, the exact site of the old Kelly home in the mid 1800s. This was possible using the maps of 1840 and the Griffith Valuation reference of 1850. The records show that Tom Kelly, John’s father, owned three-eights of an acre and a small house there at that time. The rain fell softly as a young uileann piper, T.J. Flanagan, played the lament “Slievenamon” and the people present had the time to pander in their own minds the plight and misery of our ancestors who lived through Famine and Convict times. 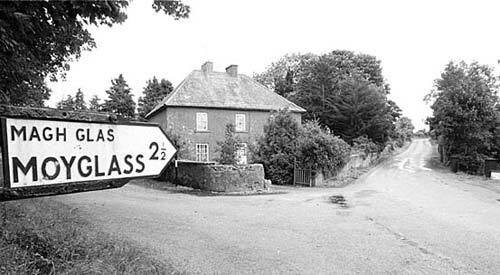 It was an again to Ballysheehan, via Dualla and the old Newpark Police Barracks, now a private house to visit the scene of the crime. Again for the first time the story of the crime was reported using the actual police report of the outrage which was finally located only a few weeks ago in Dublin Castle by Sean McSweeney of the Brú Ború Project in Cashel, and Terry Cunningham of the Fethard Historical Society. On site at Ballysheehan, John Hassett, a native of the area and a noted historian gave the evidence used in locating the homestead of Jamey Cooney who owned the two pigs, valued £6, stolen in December 1840 by John Kelly. Ballysheehan where James Cooney, owner of the stolen pigs lived in 1840. Photo shows Terry Cunningham, Fethard Historical Society, on the site in August 1988. Everyone returned to the Abymill Theatre for 9 p.m. and the lecture by Professor Bob Reece, Australia, who spoke on the environment in the l860s and 1870s in Victoria in which the young Kellys, including Ned, grew up and died. Terry Cunningham then went through in detail the research he had done and the new findings on the John Kelly story and the circumstances of his transportation in 1841. His report was suddenly interrupted by the spectacle of a crazed man rushing on the stage and through the theatre carrying two pigs, one under each arm. The ghost of John Kelly had come back to torment those present at the occasion. When composure returned Terry paid special thanks to John Hassett, Una Ó Murchú and the Brú Ború project in Cashel and the Killenaule local history team who helped him greatly with the project. Marie Crean read out a lovely letter she had received from Australia from Mrs Helen Bendley, a descendant of Grace Kelly, Ned’s youngest sister. In the letter she seeks help in finding out the truth regarding the transportation of her ancestor, John Kelly of Clonbrogan. It is great to know that following the Ned Kelly Walkabout that we are now in a position to help Mrs Helen Bendley, other descendants of John Kelly in Australia and Ireland and historians in general. That is the real significance of the event. A touching moment came when Mary Hanrahan, on behalf of the Society presented a bouquet of flowers to Miss Mary Fleming (nee Kelly) a direct descendant of Thomas Kelly and Mary Cody, Ned Kelly’s grandparents, who were married in the old Moyglass Church on 1st February, 1819. The evening drew to a close when the chairman, Peter Grant, invited people to visit the exhibition upstairs and to partake in the lavish reception and taste the “Sly Grog” which was specially made far the occasion. The scope and detail of the exhibition left people in doubt as to the huge amount of work and preparation that had gone into the evening. The last hurrah of the night was performed by Bill Sullivan who auctioned a magnificent painting that had been commissioned for the occasion. The artist was Australian painter, Julie Vadja, who has been living in South Tipperary for a number, of years now. So a night to remember, a special night, a historic night. The Abymill Theatre looked and performed magnificently and the members of the Fethard Historical Society can take a big bow. © Photographs by Joe Kenny, Fethard, Co. Tipperary. 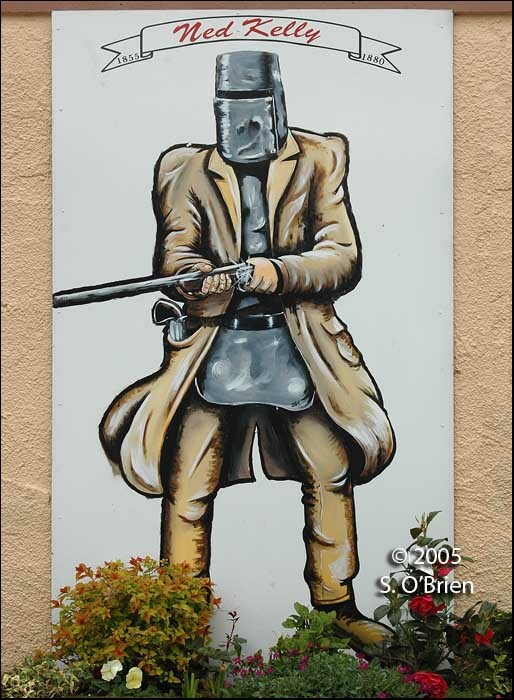 Probably most Australians are familiar with Ned Kelly’s famous “Jerilderie Letter”. The missing original letter has just been acquired by the State Library of Victorian. The account of John Kelly’s earlier life as recounted in the above books and other publications to date, is incorrect. Prior to our research (1988) the John Kelly story was based on the writings of Frank Clune, who published his “The Kelly Hunters” in the early 1950’s and we now know this version to be faulty in many respects.